Comments - Are U the Private Type? - Hello You! Are U the Private Type? Shy, full of secrets or just careful? We have set up an easy way for you to control your privacy. 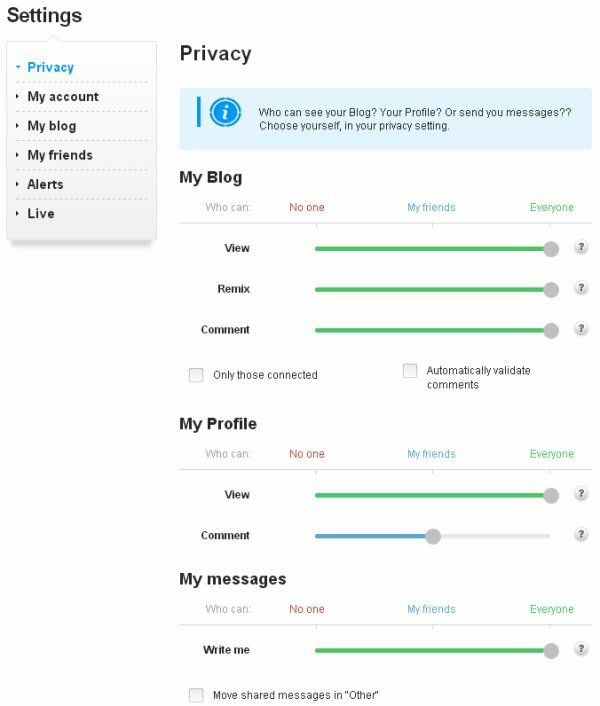 Check your settings here today and make sure you know who can see your profile and blog. The secret articles option (see POST) also adds direct protection to your blog content, and you can individually choose what posts you'd like to add more privacy. Also if you need to block someone, go to their profile, and click the plus+ icon under their picture/avatar. Here you will find the block button. Your blacklist is to be modified in your settings, under 'friends'. PS, if you need to report an abuse, click this link!